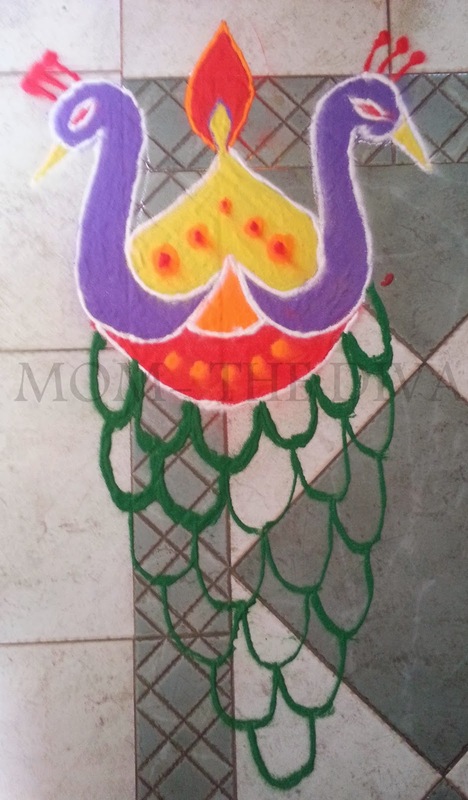 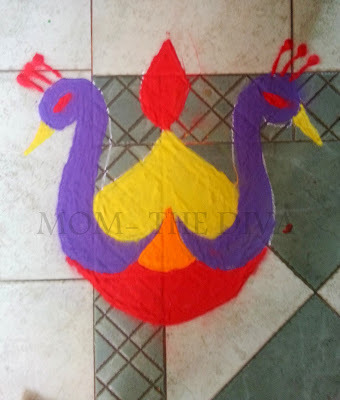 The rangoli that I designed for Deepawali this year was a variation of peacock. 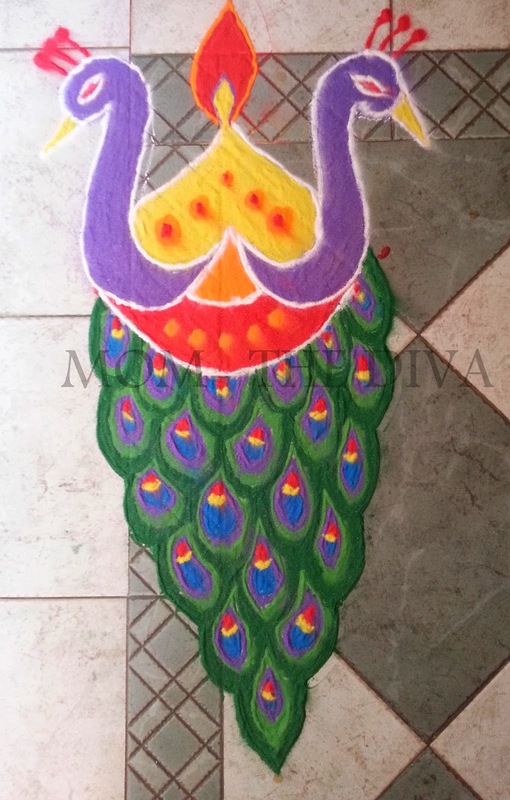 Peacock is associated with Goddess Lakshmi and hence is an auspicious design for Deepawali. 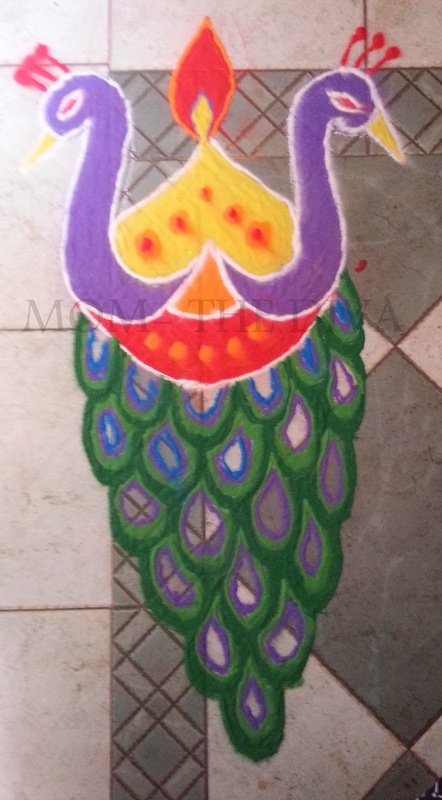 The colours are significant of peacock. Hope you like the designs do share what designs you had done for this Diwali by posting a comment.